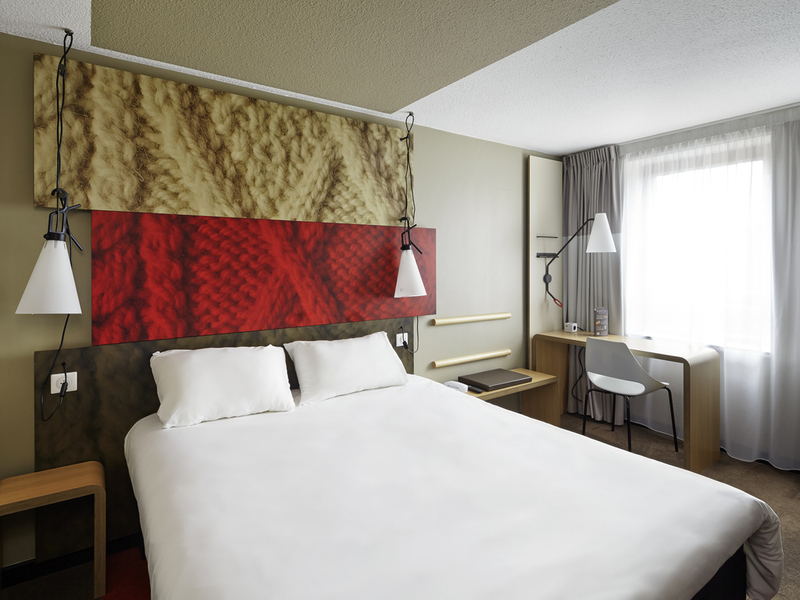 The ibis Marne La Vallée hotel is located in Champs-sur-Marne, close to Disneyland Resort Paris and 15.5 miles (25 km) from Orly and Roissy airports. Close to Noisy-Champs train station, you can be in Paris in 10 mins on the RER line A. The hotel has 110 air-conditioned rooms, 3 meeting rooms and restaurant, Chez Bruno, with regional dishes and terrace. The bar is open 24 hours a day. The hotel offers a free indoor car park and WiFi Internet access. Member of the "Accommodation near Disneyland Club." 9.3 miles from Disneyland Paris on the A4. Direct access via RER A, 55 yards from Noisy/Champs station. Warm, modern and comfortable, with a soft bed and a functional bathroom. The room has it all to make you feel at home. The pleasure of good food à la carte. Meal time throughout your stay means the chance to discover the culinary stops of our ibis restaurants.